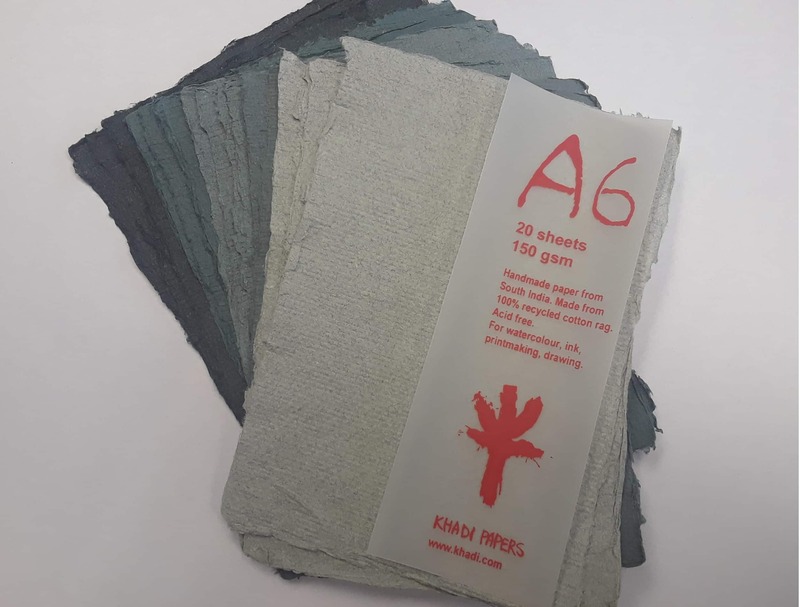 Khadi Pack - A6GRY, 4" x 6" - 150 gsm | Wholesale | Canvas Etc. For some, creating something out of nothing is a rush. 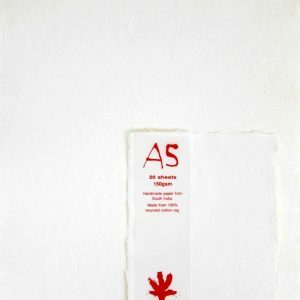 For those that love drawing, finding high quality paper at a cost-effective price point is key. 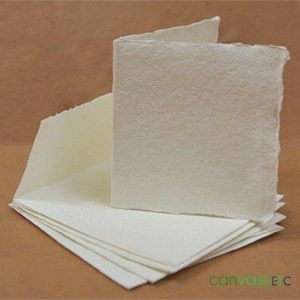 Canvas ETC proudly carries toned drawing paper in many shades, including our varied grey pack of 20 sheets. 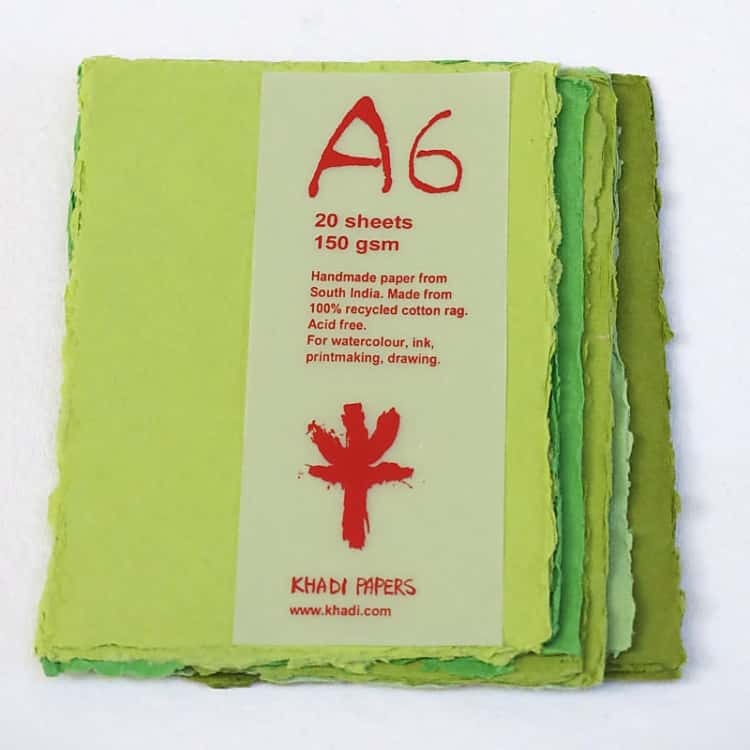 Khadi paper has long been utilized by artists and creatives alike for various art projects. 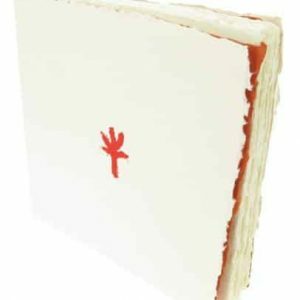 Its durability and overall versatility over plain, wood pulp paper gives it the look many are searching for when they draw. 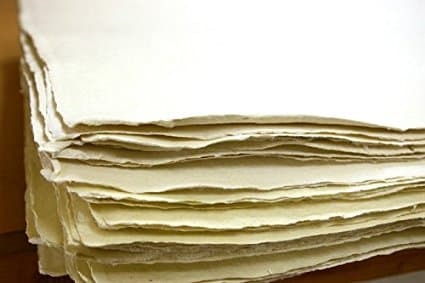 Learn more on how toned drawing sheets made from khadi paper will help you create the vision you’re seeking. It’s often argued that the first form of artistic expression were found in caves during supremely ancient times. If you look deep back in history, early sketches made by the first human beings have become documented and cataloged as an early art form. As the medium suggests, the action of drawing pulls out the creative from the artist and places it onto a page for all to see. Throughout time, sketches made from various art supplies are easily found. During the 14th, 15th and 16th centuries, drawing became an independent art form from counterparts like painting or sculpting. Drawing occurred on many different materials as well; from plant matter to sheets of paper, drawing on anything was possible and still is. As it was back then, drawing still remains a popular art form. Whether you’re a sketch artist or industrial engineer, drawing as an art form holds itself apart from other creative endeavors. Leonardo Da Vinci: The Renaissance period ushered in many famous and well known artists, including Da Vinci. While he learned many things from his teacher and other artists, Leonardo stood apart from others through his love of science and inventing. His anatomy sketches are still revered today. Rembrandt: Admired by famous artists like Vincent Van Gogh, Rembrandt soaked in all he could from his surroundings and became another well known artist of his time. His sketches were few in comparison to his paintings, but they’re still regarded as masterful. Pablo Picasso: An artist as well rounded as Picasso was also bound to be an excellent sketch artist. From sculptures to paintings, Picasso was also a prolific sketcher who held over 100 sketchbooks with incredible works of art. Some of his most beloved sketches were of animals. Michelangelo: Like Da Vinci, Michelangelo rose to iconic status during the Renaissance. Known best for his paintings and sculptures, he didn’t often sketch as an end result. His sketches were drafts of other works he’d later create with different mediums. These examples and more show how drawing became an art form that showcased so much more than simplistic, nuanced shapes or scenes. These artists elevated sketching, transforming the art world with a new form of expression. 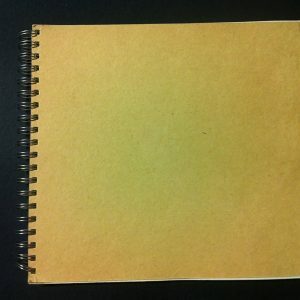 Toned drawing paper exists in many forms, including khadi paper. 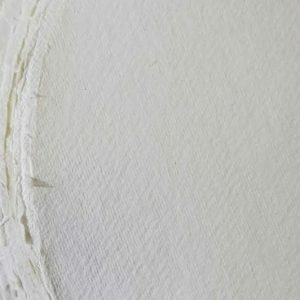 Handcrafted in India, khadi sheets are ideal for artists and creatives alike. 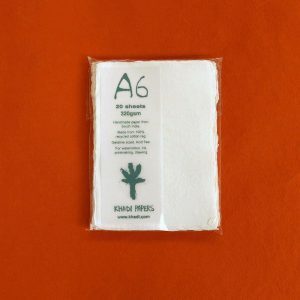 These cotton based sheets are perfect for various art forms, including drawing or sketching. 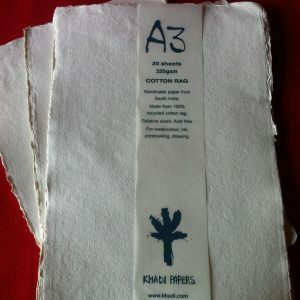 Khadi paper is sustainably made by using recycled cotton rags. 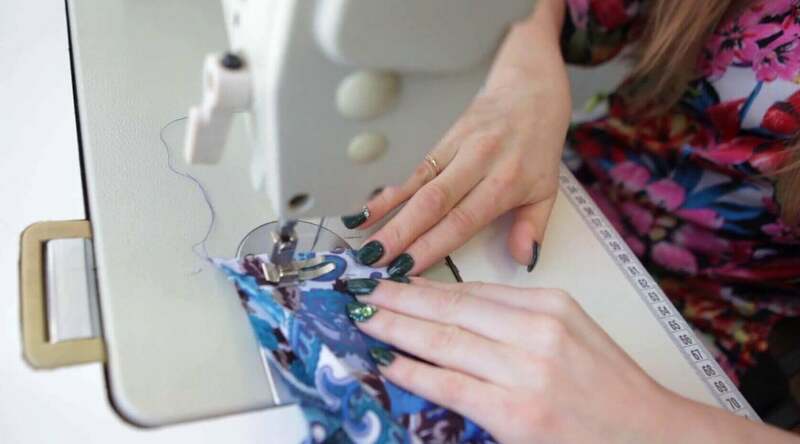 These rags come from old garments like t-shirts. 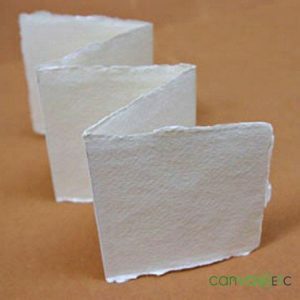 The pulp from the cotton rags go through various stages of processing to eventually become khadi paper. 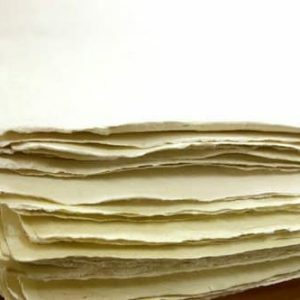 Khadi paper becomes toned in various shades during this process. Our grey offering allows you to place your vision onto the page seamlessly and beautifully. Many may ask, “what’s the difference between plain white and toned drawing paper?” While the choice is completely up to the artist, toned drawing sheets offer the artist a dynamic range that’s difficult to achieve with regular white drawing paper. Toned paper often provides realistic results. 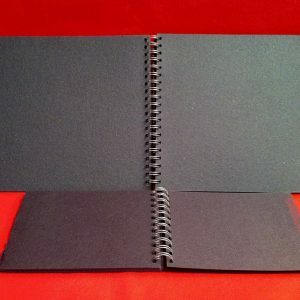 With the assistance of the artist, toned paper helps aid in fascinating and genuine sketches and drawings. 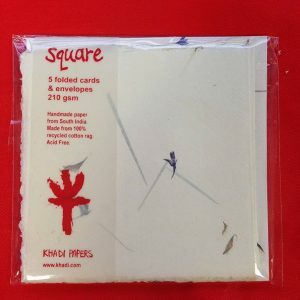 The paper pops the art from the page in a multi-dimensional way. It’s also easier to hide any mistakes made on a toned drawing sheet. White paper shows pencil marks and eraser lines much more than a toned sheet of drawing paper. Drawing paper that’s toned helps hide those minuscule errors and showcases your art. Toned paper is great when you want to have a complete sense of your work. The colors in a toned sheet of drawing paper add to the vision of what you’re trying to put onto the page. That unity is harder to achieve with white drawing paper. Overall, toned paper for your art maximizes your creative experience, leaving you to create your masterpiece with simplicity. The cool thing about using khadi toned drawing paper sheets is the flexibility to use whatever art supplies you’ll need. 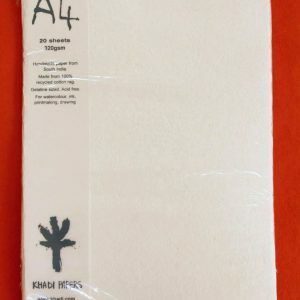 From graphite pencils to paint, our khadi sheets in grey work well with many different art supplies. If you draw, you’re most likely using pencils or pens. 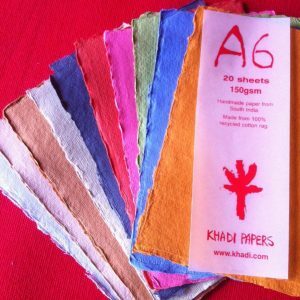 Since khadi sheets are durably made from cotton rags, sharper tipped pencils or pens won’t break through the sheet. They also won’t bleed through. Khadi toned paper will take your art where you want it to be, no matter the supplies you’re using to create your vision. Watercolors: As mentioned, this toned paper is great for sketching, but works well with various supplies including watercolors. 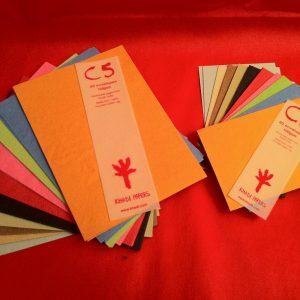 Paint a serene scene and see your colors pop off the page with these toned sheets. Acrylic Painting: Acrylic paints are often affordable and fun to use. Paint all sorts of fun things using this grey pack of toned khadi paper. Mixed Media Collages: Are you a fan of mixing your art supplies? 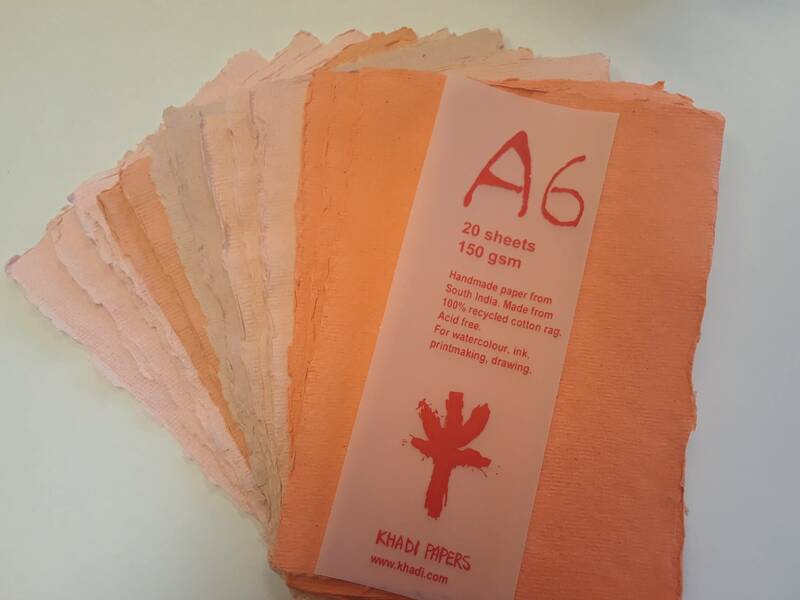 These khadi sheets stand up to the challenge! Use various art supplies from glue to different materials to collage together an interesting work of art. 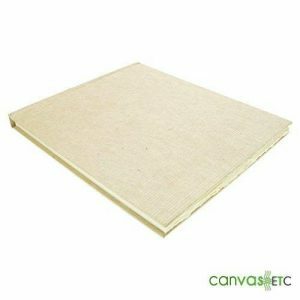 Canvas ETC is your source for all things khadi. To learn more about all our toned drawing sheet offerings, contact us today.